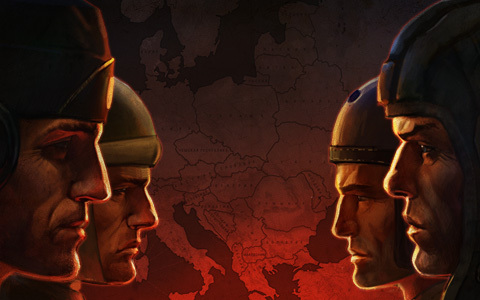 Today, May 19, the Ultimate Conquest to dominate the Global Map begins! It has been highly-awaited by the players who are part of big military unions allied under the same name and idea, as well as by those clans who wish to dispute in arms every inch of captured ground, regardless of number of their clan members. Redivision of the World has started today - its rules you can read here. This mode lasts for the first 24 turns on Global Map. During that period every clan that participates in clan wars can land in any neutral province. Don't waste your time and use the chance to capture the territory right now, as soon your clan will fight in the battles of Ultimate Conquest according to its General Rules! We remind you that any clan can join these clan wars! If you haven't got one yet, you should create it and gather at least 15 players. At the moment there are over 940 clans on the NA-server. With the launch of the Ultimate Conquest their representatives will be able to fight on the Global Map to gain control over provinces thus providing their clans with regular income! Ultimate Conquest playing field (which is the Global Map) represents the geographical map of several Earth regions. It is divided into provinces and can be compared to chessboard. The main aim of Ultimate Conquest soldiers is to occupy as many of them as they can. Therefore, the provinces are either neutral or owned by a particular clan allowing it to receive “golden” income. There are three types of provinces: regular, critical and landing. Depending on the type of province conquered, the clan will regularly earn a particular amount of gold. Provinces are used to move clans’ forces and headquarters along the map. According to the rules of Ultimate Conquest, armored forces of different clans are represented as chips, the number of which equals the quantity of players in the clan who played at least one battle on any vehicle of tier 5 or higher. These chips are moved along the map as the clan takes over provinces. Apart from chips every clan has one headquarters that can be moved from one province to another. Apart from battles espionage will also take place in Ultimate Conquest. This feature allows the clan to find out the number of enemy chips in a province. The Ultimate Conquest is the best opportunity to display not only one’s combat skills but also strategic thinking and the ability to work in a team. Check it out for yourselves and start your clan expansion! Visit Clan Wars and plan your clan's march to global dominance!